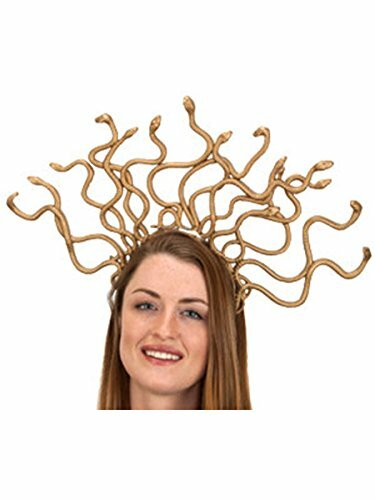 Nicky Bigs Novelties Medusa Snake Headpiece Costume Accessory. 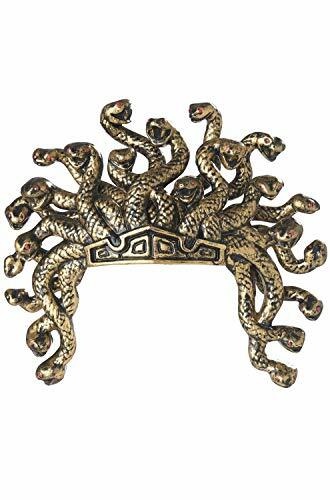 One headband per package with self adjusting headband. 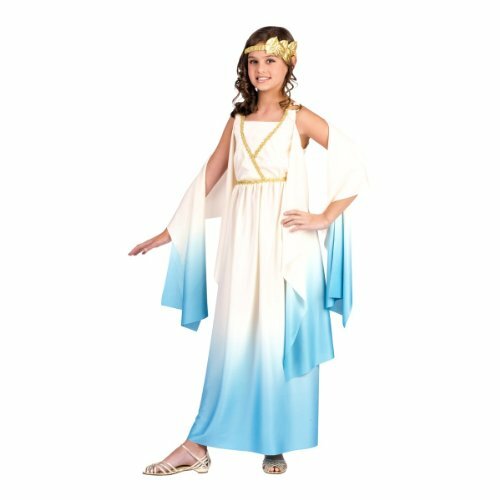 This item will fit most adults and some children. 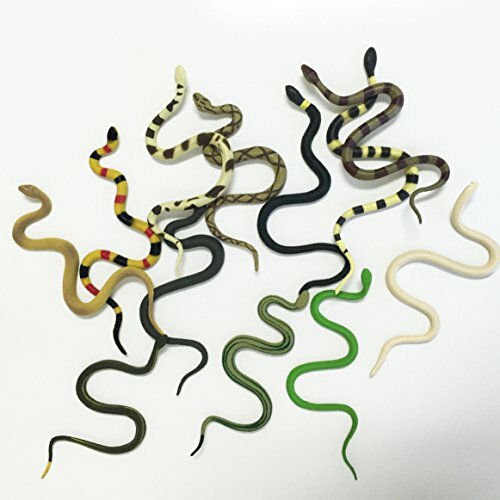 Snakes spread approximately 16.5" wide and 10.5" tall. 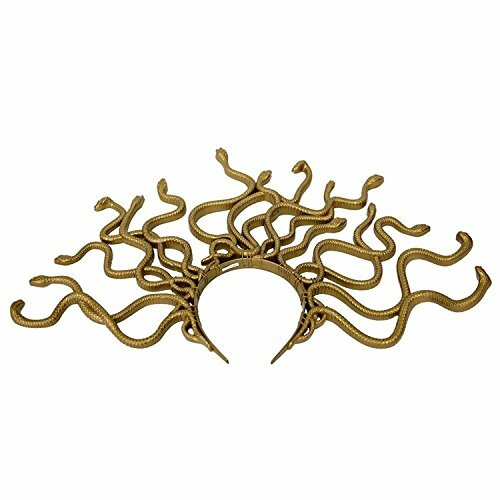 Made of gold/bronze plastic. 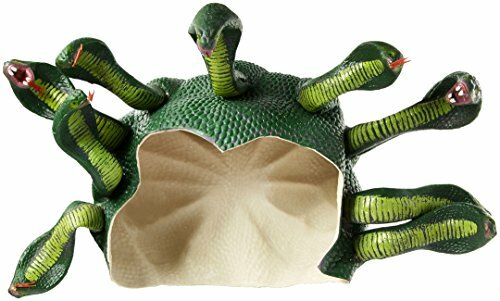 These life like snakes are great for any snake enthusiast. 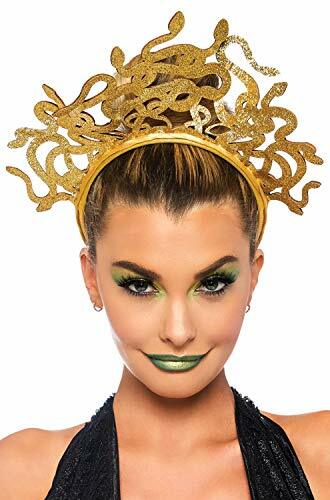 These snakes are great for Medusa Costume, Halloween decoration, school education or any fun play. 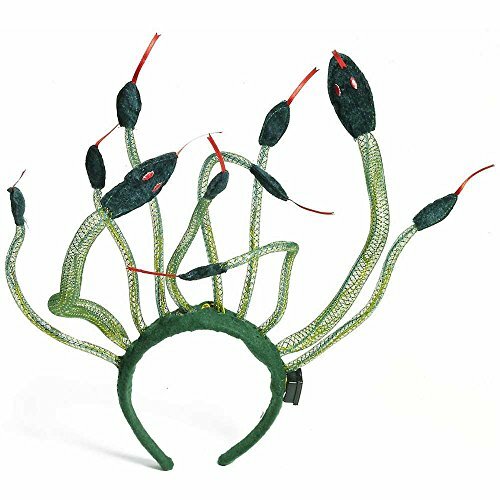 Great for any goody bag or as prizes for a school or church carnival.